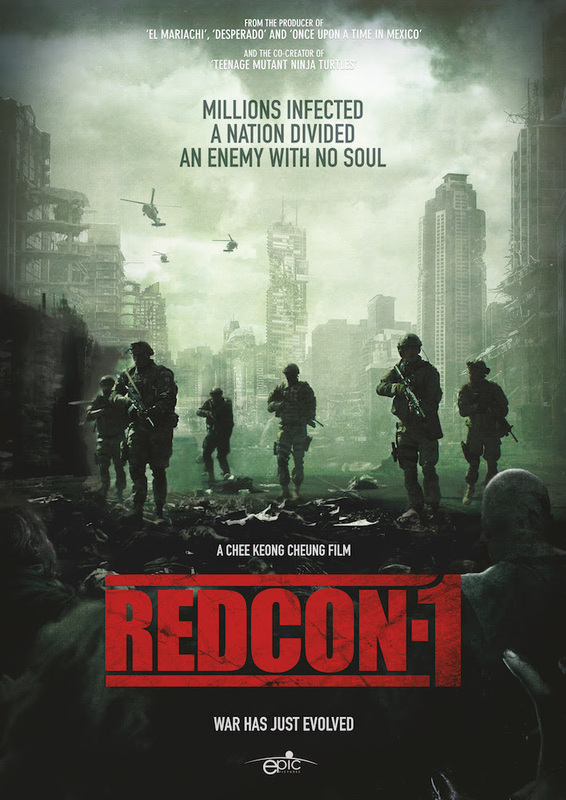 DREAD CENTRAL PRESENTS: ZOMBIES, MARTIAL ARTS, AND POST-APOCALYPTIC ACTION ABOUND IN REDCON-1! FOR IMMEDIATE RELEASE – Los Angeles, CA, January 29, 2019 – Dread Central Presents and Epic Pictures are about to take you into post-apocalyptic England with the announcement that we will be releasing REDCON-1! The film comes from the mind of writer/director Chee Keong Cheung and is produced by Carlos Gallardo (Desperado, Once Upon a Time in Mexico), Stephen L’Heureux (Sin City: A Dame to Kill For), and Kevin Eastman, co-creator of Teenage Mutant Ninja Turtles and publisher of Heavy Metal. “A government experiment is unleashed, releasing a mutated genetic virus which amplifies and enhances human abilities. Amidst pandemic chaos, humanity is reborn as a stronger, faster, far more deadly creature; an evolutionary backlash that creates a new breed of killing machine. Directed by Chee Keong Cheung, who co-wrote the film with Steve Horvath and Mark Strange, REDCON-1 stars Oris Erhuero, Carlos Gallardo, Mark Strange, Katarina Leigh Waters, Martyn Ford, and Joshua Dickinson. It was also produced by Ioanna Karavela and Mark Strange. We will be releasing Book of Monsters in March, Black Site in April, and then we’ll take you all on the explosive adventure that is REDCON-1 this coming May!